With the stroke of a pen, President Obama today has lifted the stranglehold on women's health across the globe. His repeal of the Mexico City Policy (the global gag rule) ends eight long years of policies that have blocked access to basic health care for women worldwide. No longer will health care providers be forced to choose between receiving family planning funding and restricting the health care services they provide to women. To women around the world, no sound is sweeter than that of President Obama's strong, clear support of women's health. The overturning of the "global gag rule" means millions of women will be able to access birth control and family planning since health care entities that provide the full range of reproductive health care will once again be eligible for international family planning funding. Planned Parenthood has not only refused "gag funding," while we continue to do work in more 17 countries around the world, but we've also helped in other ways. The Family Planning Association of Nepal's (FPAN) story is one that health clinics around the world face. They refused to agree to the global gag rule and lost its U.S. funding. As a result, they faced dire financial circumstances. The former Director General, Dr. Nirmal Bista, testified before the Senate Foreign Relations Committee in July 2001, saying: "Were we to accept the restricted U.S. funds, I would be prevented from speaking in my own country to my own government about a health care crisis I know first-hand. But by rejecting U.S funds, I put our clinics -- clinics addressing that same health care crisis -- in very real jeopardy. It is an untenable situation. But, we simply could not stand by and watch countless women suffer and die without doing everything we could to prevent this misery." Planned Parenthood stepped in and provided FPAN with one year of bridge funding so that it could continue to provide services while seeking new support to replace lost U.S. funds. Under President Bush, the global gag rule forced the closing of hundreds of these health clinics worldwide -- clinics that provided critical services other than safe abortion such as mammograms, family planning and HIV testing -- due to loss of funding, and took away the freedom of providers to be honest and open with women about their health options. The impact on women's health and lives has been so far-reaching that we will probably never know the true extent of the harm. With the election of Barack Obama as our next president and the appointment of Hillary Clinton as our next Secretary of State, the United States has a unique opportunity to restore women's health and well-being to the center of the foreign policy agenda. President Obama and Secretary Clinton understand that promoting women's rights not only improves health and well-being, but also has concrete benefits for economic, political, and social development. Over the past 15 or so years, research has emerged to demonstrate that investing in women promotes active civil society, good governance, and leads to concrete improvements in the welfare of families. Repealing the global gag rule is a critical step, but more work must be done to reverse the damage done by the Bush administration to women's health. In the short term, removing abstinence-only requirements in AIDS funding, and increasing foreign assistance for reproductive health -- including $1 billion for family planning -- will move us in the right direction. In the long term, women's health must be a priority not just in theory but in practice, and across the board. Expanding access to family planning is not only good, basic health care; it saves women's lives. The State Department needs to ensure that women's health is a core component of development and relief efforts. We need to work with our allies in Congress, the Treasury Department, and overseas development offices to ensure that financial pledges for women's health are fulfilled and that funding is used efficiently. And members of the U.S. Foreign Service need training on how the U.S. government's approach to women's health worldwide will change with the new administration. Ambassadors should be sent a clear message that their efforts should be driven by need and evidence -- not ideology -- and they should be encouraged to make women's health a priority in their country programs. Women's health and well-being are the bedrock of freedom and independence -- for individuals, families, and entire communities. Avoiding disease, having access to clean water and nutritious food, deciding whether and when to have children, and being safe in pregnancy and childbirth make women stronger and improve the quality of life for families and communities. 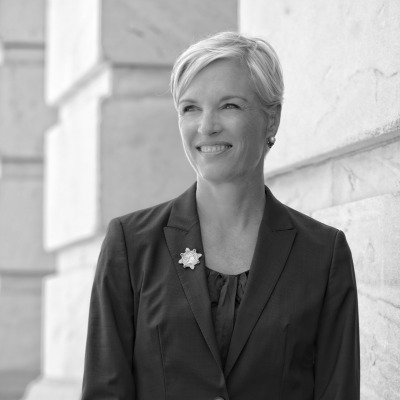 Planned Parenthood will continue to advocate forcefully for policies that promote women's health worldwide, while helping to provide access to services and supplies for some of the world's most vulnerable people. Just a few days after he's taken office, we can clearly say that thanks to President Obama, it truly is a new day for women's health. And as we usher in a new president committed to women's health, a cheer is going up around the world in celebration.